In the first full biography of actor Sidney Poitier, Aram Goudsouzian analyzes the life and career of a Hollywood legend, from his childhood in the Bahamas to his 2002 Oscar for lifetime achievement. Poitier is a gifted actor, a great American success story, an intriguing personality, and a political symbol; his life and career illuminate America's racial history. In such films as Lilies of the Field, In the Heat of the Night, and Guess Who's Coming to Dinner, Poitier's middle-class, mannered, virtuous screen persona contradicted prevailing film stereotypes of blacks as half-wits, comic servants, or oversexed threats. His screen image and public support of nonviolent integration assuaged the fears of a broad political center, and by 1968, Poitier was voted America's favorite movie star. 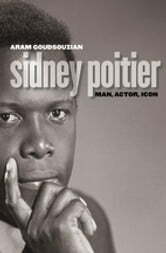 Through careful readings of every Poitier film, Goudsouzian shows that Poitier's characters often made sacrifices for the good of whites and rarely displayed sexuality. As the only black leading man during the civil rights era, Poitier chose roles and public positions that negotiated the struggle for dignity. By 1970, times had changed and Poitier was the target of a backlash from film critics and black radicals, as the new heroes of "blaxploitation" movies reversed the Poitier model. In the 1970s, Poitier shifted his considerable talents toward directing, starring in, and producing popular movies that employed many African Americans, both on and off screen. After a long hiatus, he returned to starring roles in the late 1980s. More recently, the film industry has reappraised his career, and Poitier has received numerous honors recognizing his multi-faceted work for black equality in Hollywood. As this biography affirms, Poitier remains one of American popular culture's foremost symbols of the possibilities for and limits of racial equality.